The 2017 Ram 1500 Truck Crew Cab from El Paso, TX appeals to truck drivers who also prefer a smooth ride. The 2017 Ram 1500 offers a wide range of configurations. You can choose from a basic, single-cab, work truck to a Limited model equipped with upscale amenities. 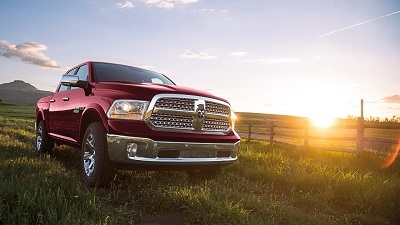 Though the Ram 1500 looks like an aggressive semi-truck, you may be surprised by its comfortable driving dynamics. Most notable about driving this model is its smoothness. Utilizing its excellent coil-spring and multi-link suspension, the 2017 Ram 1500 is easy and effortless to handle. The supply of speed and power is impressive as well, with three engine options. The 3.6-liter V6 delivers 305 horsepower and 269 pound-feet of torque while the 3.0-liter, turbodiesel V6 produces 240 horsepower and 420 pound-feet of torque. Read more on VivaChryslerDodgeJeep.com blog page. Posted on December 18, 2016 by CedrickPosted in BusinessTagged 1500, 2017, crew, ram, truck.